Don’t miss out, there are only very few items left. This awesome hard leather vintage handbag is ideal to enhance your look and style. Its just perfect for your office, or simply to go shopping with your friends. It has lots of space so you can carry your I-Pad, a compact umbrella, your perfume or any other of your cosmetics. Pick the most stylish bag whereas you can carry by hand, cross-body or as a shoulder bag. Add to Cart & get Free Shipping today! 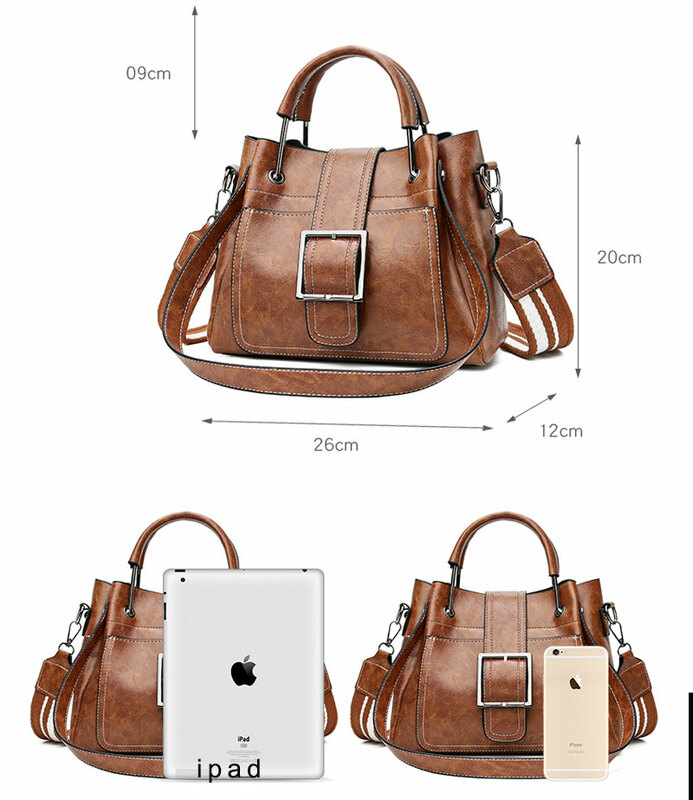 If you wish to have a vintage handbag of high quality to take with you every day and for multiple occasions then this awesome bag is right perfect for you. The bag closes with a metal zipper and also has a decorative belt to secure even more your belongings. It has an interior compartment for your phone, wallet or travel cards. You can carry it with you at a morning or evening coffee and can perfectly match with your casual jeans. Its the best vintage style bag you can find and that’s why this bag sell-out really fast. You can put your compact umbrella, books, magazines, cosmetics, secure your phone, home keys and you can find interior space you can’t even imagine. It is equipped with an interior pocket with a metal zipper for your daily essentials. A great gift idea for your friend and she will definitely adore this Vintage Handbag. You can add this Vintage Fashion Belts Handbag to card by choosing among brown, black and intrigue purple color. Smell tip: Since this new luxury set of bags is closed during storage and transportation, a little smell is inevitable. You may place it in a ventilation area for a couple of days and the smell will disappear. Why designer backpacks for women are very fashionable right now? At our website, we share our honest reviews on backpacks, fashion bags, travel bags or anything related to our passion, which is Fashion. For us, Style is everyone’s uniqueness & character.